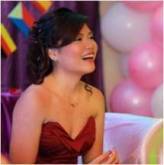 For most of your employed life, you are situated inside your own office cubicle or desk. Your cubicle is where all your belongings and office materials are. Sometimes, being in your own cubicle for long periods of time may become dull and uninspiring.To prevent this from happening it is best to put your own personal twist to make your cubicle or desk look bright and colorful. The best part is, you can do these DIY projects at home, just with the right materials lying around. 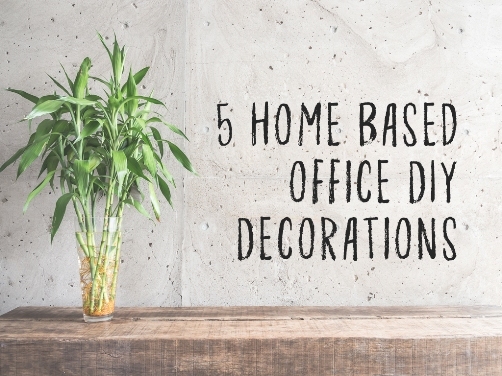 To give you some nice DIY office ideas, here are some nice suggestions. One of the problems that some home office cubicles have is that they are not well-lit at times. One way to literally brighten up you side of the office is by adding some lights. 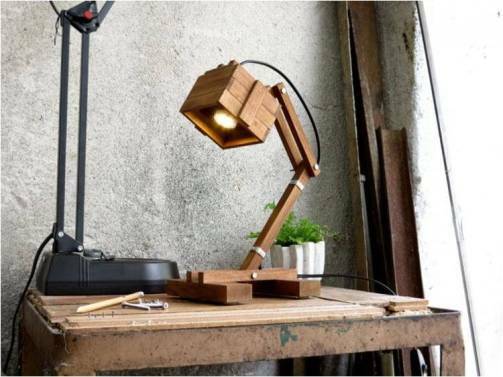 The best ways to do this is by making your own lamp from some old Christmas lights, or get an average looking desk lamp, and give it some nice decorations. Putting some bright lights would not only make your office stand out, but also make you feel more energized while working (thanks to the bright lights). Mason jars are not only great for putting your favorite drinks there, but they can also be a part of your office desk. Mason jars are great places to put all your office stationary like scissors, pens, and markers.You can either stand them up, or stack them horizontally and use them as cubbies for all your office materials. 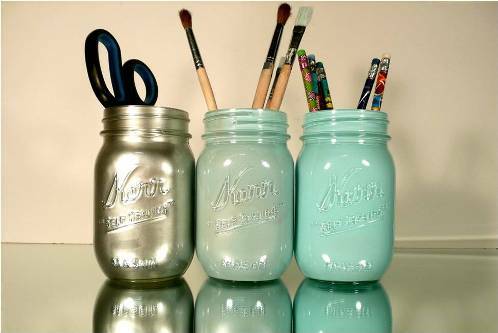 Using mason jars are a creative and fresh way to organize all your important things. 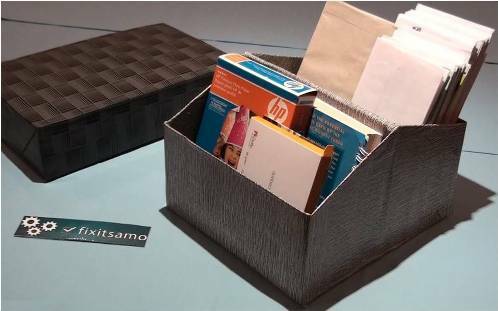 Another great way to organize all your office materials is by using some shoe boxes and empty tissue rolls. Before you put them on your desk, it would be great to some personal touches to make it look great. The best thing about this organizer is that you can change it up and adjust the pages if necessary. If you’re in an office with your standard white or gray walls, it is bound to get dull every now and then. To solve this dullness problem, you can brighten up your walls with awesome colors. You can decorate the walls with some nice colored paper, use old gift wrapper, and even a combination of paint, paper, and some colorful tape. Doing this to your office walls would make it brighter, and give it your own personal touch. 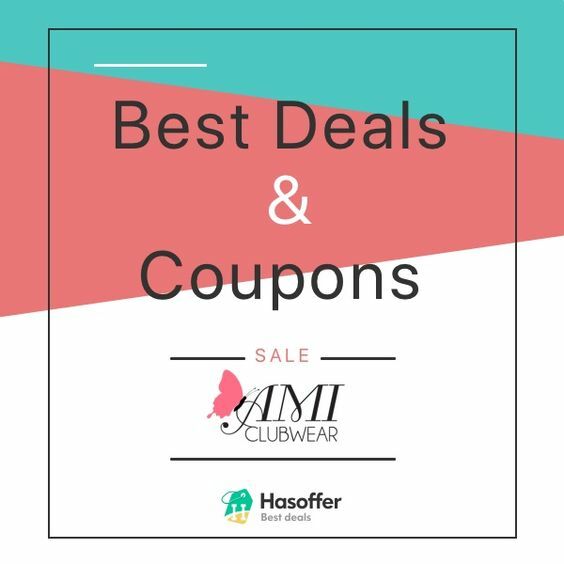 Want to keep track of things to do during the day while keeping your office bright and colorful? 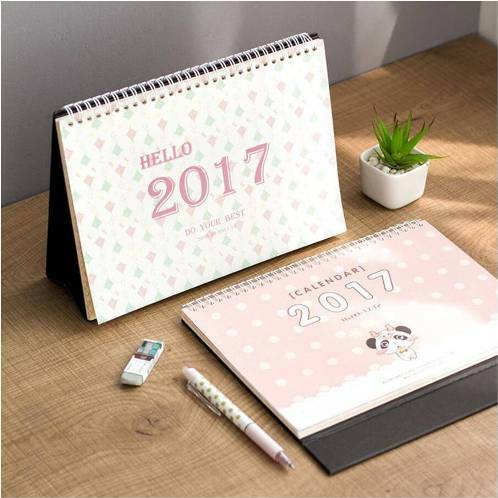 Then making your own calendar with the help of your own office stationary would do the trick. With the help of materials like markers, colored pens, some cardboard and paper, and some tape, you too can make your own DIY office calendar. You can use other decorative materials like sequins and confetti to give it a livelier look. Your office would be the place where you would spend the most of your time during the day, so making it as bright and colorful as possible would make it livelier, and help you get motivated to work more during the day. 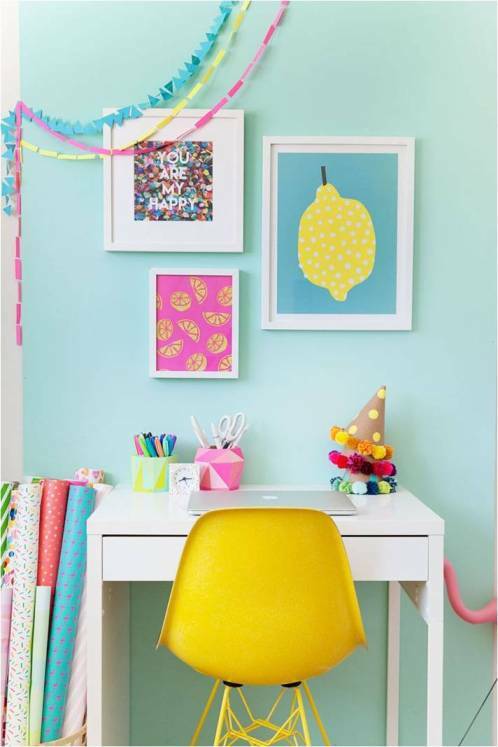 So if you have some extra stationary and a few art materials lying around, then you can have a hand in decorating your office.